Cooperated and integrated with Intel Open Pluggable Specification (OPS), Winmate is delighted to announce Display Pluggable Standard Module to provide more flexible and convenient solution for digital signage users with compatible connector. 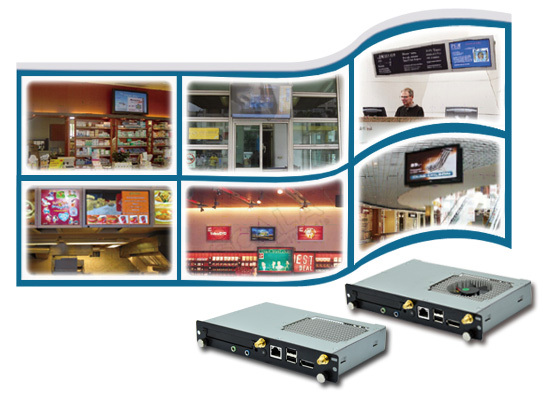 The innovation of Open Pluggable Specification is to standardize the connectors and signals that cross from the main IA board (digital signage player) into a digital signage display. This module is based on the Intel®Core™ i7 processor with Mobile Intel®5 Series Express Chipset (QM57) platform and also future products. 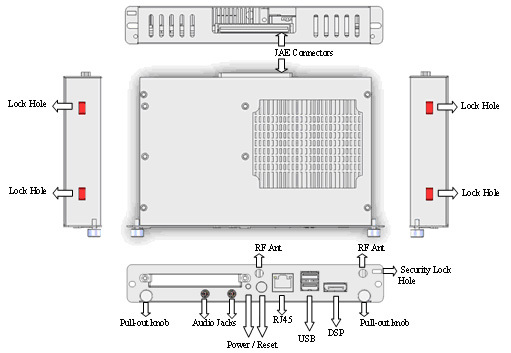 Regarding I/O part of this pluggable module, it includes audio jacks, power/reset buttons, RJ45 connector, 2 USB ports, and one DSP port. The sides of the module are composed of 4 guide holes which, when come into contact with the locking pins on the guide rail, lock the module during docking/undocking. 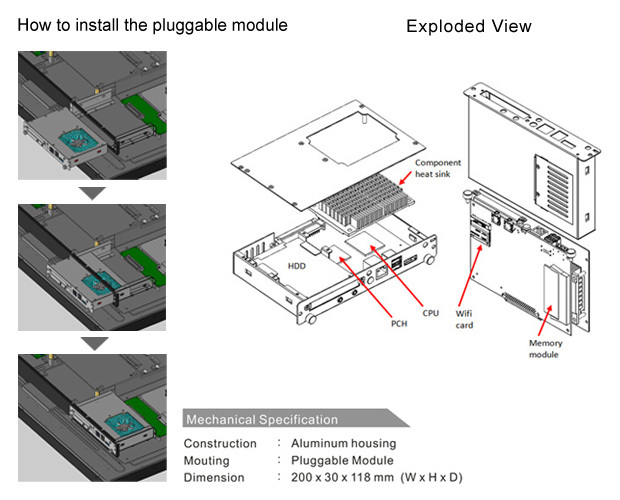 The overall dimension of the module including the mounting frame is 200mm x 119mm x 30mm.